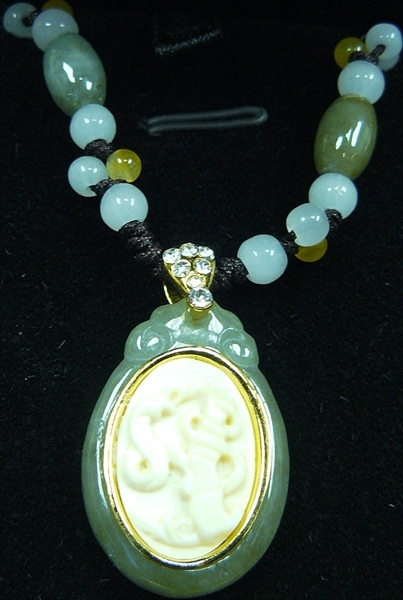 SIZE: HIGH 1", WIDE 3/4", DEEP 1/4"
This beautiful pendant is made from Jade and Mammoth Ivory. 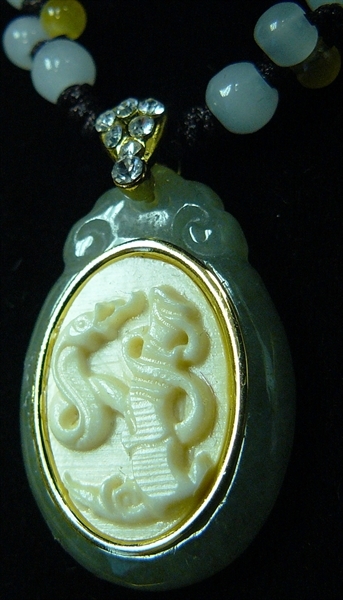 A piece of detailed carved ivory is mount on a piece of high quality jade. It is a necklace design. It is one of the Chinese 12 Zodiac.